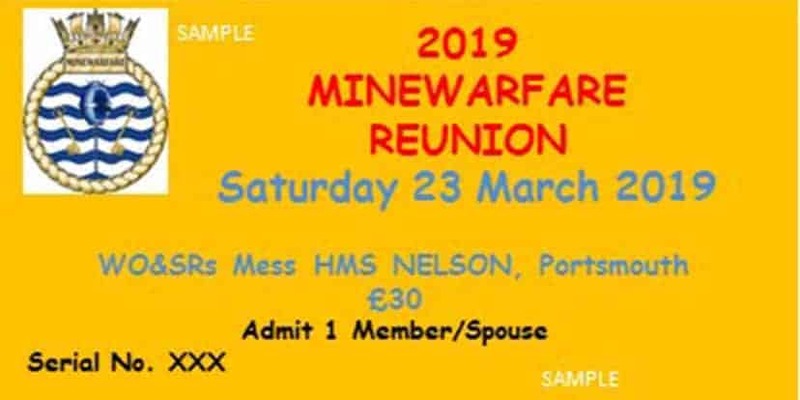 Tickets for the MWA 2019 Reunion are on sale NOW in the Sweepstore on this website. The reunion will be held on Saturday 23 March 2019 at the WOs & SRs Mess HMS NELSON. Details on how to pay are included in the Sweepstore. DON’T DELAY, BUY YOURS TODAY. Thanks for the nudge. Its amazing how quickly time goes by! Just ordered ours. In the post Ronnie. See you there.